Although sometimes I’m prone to romanticizing the golden days of perfumery–that vague time in the past when regulations and profitability didn’t shape the industry the way they do today, I’m not a traditionalist. Tastes change, and I don’t expect that young people today want to wear only fragrances created 100 years ago, just as the children of those whose wear Lancôme La Vie est Belle and Bleu de Chanel might reject their parents’ choices. Yes, a day of “vintage” La Vie est Belle will come. This is why I don’t object to the reworks of classics, such as Chanel No. 5 L’Eau, provided that the brand keeps the original intact and interprets the “young and trendy” theme in an interesting manner. L’Eau is an attempt by Chanel to draw a younger, trendier audience to No. 5. Although I smell enough of No. 5 on women in their twenties in Paris and notice its constant presence in the top 10 best sellers, it is still somewhat of a cult favorite. L’Eau goes for wider appeal. Modernizing No. 5 is tricky. It’s an expensive formula, and a number of its components, from the aldehydes to the musky-balsamic notes in the base read to many as old fashioned. But remove aldehydes, those odd starchy-metallic ingredients, and you have a dull, flat floral with little to recommend it. What to do? Olivier Polge has approached the problem by changing the tones and accents. The first time I sprayed L’Eau was at the busy counter of my local beauty shop, and even though the air around me was full of other smells, the radiance of L’Eau took both me and the sales assistant by surprise. The shimmer of aldehydes in No. 5–and their starchy tang–is taken down to the minimum, and instead the brightness is provided by citrus and shimmering florals. L’Eau is bright but it feels velvety on skin, and right through the transparent top notes, you can make out the rose and white flowers. Everything is pastel and sheer, but there are delicate accents of vanilla, cinnamon and woods to give texture and layers. The drydown is mostly mild, fluffy musk, but the floral and spicy themes persist. L’Eau lasts well enough and has a soft, lingering sillage. 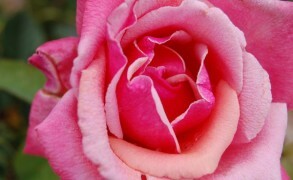 It’s not a heavy fragrance, however, and it has less presence than No. 5, which in a way makes L’Eau easier to wear. As a perfume marketed towards young women, L’Eau is as good as I would have hoped. It’s sophisticated, with a lighthearted and charming character. Without compromising the sophistication of Chanel’s signature, it’s fresher and brighter than No. 5 Eau Première, which has been one of my enduring loves. But I can see myself switching to L’Eau, especially on days when I want something elegant but casual, polished but versatile. Ultimately, it might be a good introduction to the grand dame herself, No. 5. P.S. Some of you have asked about longevity. L’Eau is meant as an eau de cologne, so it has a corresponding level of freshness and brightness. It has a good sillage and nice presence, and while light, it lasts on my skin for the entire day. However, I predict that those who can’t smell certain types of musk will have complaints about sillage and longevity–the drydown is very heavy on musk. In other words, try it on skin first. Chanel No. 5 L’Eau includes notes of lemon, mandarin, orange, neroli, aldehydes, rose, ylang-ylang, jasmine, cedar, white musk. It’s available in 50 and 100 ml. Tati: This is a fragrance that has ghosted around for months now (all the bloggers had it a while ago, really good promotion!) and I have been wondering since, what it would be like. And really, I didn’t know what to expect. I’m surprised to hear that you appreciate it that much! My mother wears No.5, so maybe this is my entrance into the steps of my mother. Victoria: I’ve been away since April, so I’m slowly catching up on the summer/fall newness. I was pleasantly surprised when I spotted a tester at my local Planet Parfum a couple of weeks ago. Admittedly, I’m not the biggest fan of the original No. 5. 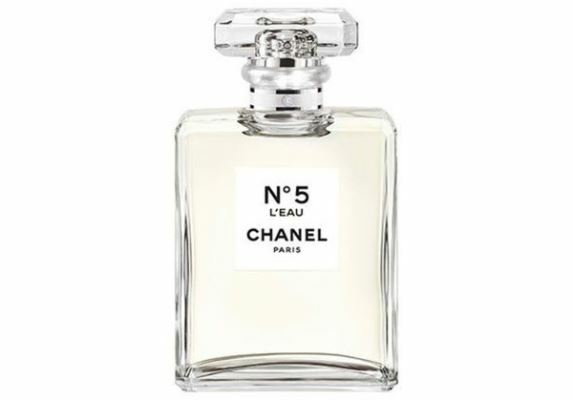 I recognize that it’s an icon, that it’s beautiful, etc., but I wear it far less often than either No 19, my favorite Chanel, or No 5 Eau Premiere. L’Eau being soft, floral, with a lingering velvety finish is the kind of perfume I like in general. It’s also really well-made. Emma: Perhaps we care too much about what young people today think! They don’t know anything anymore because we give them what they want all the time. What young people today listen to classical music, opera and enjoy fine wines? Probably less than 1%, if that! Back in the days, perfume houses would only target upper middle class women which the French call Bourgeoises. Unfortunately, it’s a different kind of capitalism today with greedy multinational corporations in charge, this isn’t about quality anymore but huge profits and mass markets. Sheer, light, delicate… when it comes to perfumes this actually leads me to think we’re not talking about perfumes but laundry style fragrances! At one point, you might as well not spend money on expensive fragrances and just wear a good deodorant! Really!! annemarie: Interesting points. I agree that perfume seems to have been explicitly marketed to young people only since the – what? 1960s? Later even. And there was a nice little ritual to present a young girl with her first perfume, chosen for her by her mother or some other female relative. But I don’t deprecate that trend towards marketing perfume to youth. They have their own money, why can’t they spend it as they please? I can recall as a teen in the 70s and early 80s being often too scared to approach the perfume and cosmetic counters for fear of the overly made-up sales staff with their and superior attitudes. Why shouldn’t perfume be accessible to all who what to have fun with it? kpaint: I would pinpoint that date much later in time. Comparing the ad copy for Dior Poison (1985) and Poison Girl (2016) makes the point quite well. We certainly can’t deny that with today’s social media, teens and 20-somethings are our tastemakers. The problem, to my mind, is not that they are the target market (and do they have money to spend? how?) but that they are the ONLY market manufacturers cater to. Speaking of perfume specifically, not so long ago the market was dominated by perfumes for women. There were scents designed for young women to wear, but they were the outliers; teenagers and young girls should wear fragrance, but not the same one as their mothers and aunts – it would not be appropriate. They would come to appreciate grown-up perfumes with age. Now the market has flipped. Everything is designed to appeal to teenagers. Walk into your local Sephora and try to find a fragrance launched in the past 15 years for whom the intended audience is, say, a woman over 40. Perhaps this accounts for the rise in niche perfumery? Victoria: Annemarie is right. The age specific (and gender specific) marketing started taking off in the postwar era during the consumer boom as more people had more disposable income for luxuries. The reason most perfumes for women smell sweet and sugary is not because they are aimed at teenagers, but because according to the consumer studies, most women prefer these kind of scents. Of course, relying on the focus group studies to design new launches is to create dull, copycat perfumes. Sandra: I have No5 from the 90’s and Eau Premiere.. I am not sure if I will find this boring , but I will give it a try! Sandra: I just put some on- and it’s fabulous! Sandra: No5, Coco, Allure, No22 and No 19!! Hamamelis: Great to read this positive review, thank you. Love no 5 in all its versions, parfum, EdP, EdT, vintage, Premiere…Apparently it was my granny’s scent, never wore anything else (the idea…!?). Victoria: I wouldn’t recommend a blind buy, since it has lots of musk, and many have anosmias to some types of musk. Hamamelis: Thank you for letting me know. If anything I am the opposite to anosmic to musk, the musky dry down of no !9 Poudre is so tenacious that it wears me down in the end. A very good reason not to blind buy l’Eau. Victoria: Ah, then, yes, all the more reasons to do a skin test. kpaint: I was obsessed with it, too! I remember finally getting to use some and it really did smell terrific 🙂 In those days our household used Faberge Wheat Germ Oil & Honey, which seemed dreary and hippie-ish compared to the GYHST and Prell girls in TV ads. spe: So happy to see this review as I’ve been considering a blind buy. Some people have mentioned longevity issues – as you state, that could be musk anosmia. Knowing that I have that, I’m going to wait to test. My Mom wore aldehydic florals and therefore that is my reference for perfume. I enjoy them – so fingers crossed for the light and lovely No. 5 l’eau! I love 80s perfumery but generally have a difficult time with the decades just preceding (60s/early 70s.) I don’t have an olfactory connection to that era and the scents can leave me cold, if not a bit confused, as I don’t have the right context to place them in. spe: Well I found a tester at the most unlikely store – in an old mall! Nice powder and citrus for – maybe 3 – 5 minutes. Then a very fast transition to the balsamic / ?patchouli notes of coco noir. I must be anosmic to the muskiness. Simply put, it’s dreadful on me. Jillie: Hello twin! Yes, No 19 – ever since it was first launched – has been my favourite Chanel (along with Cristalle) and whilst I did wear No 5, it was never really “me”. L’Eau sounds charming though, and I will be interested in trying it. Thank you for describing it so temptingly. Claire: I thought of No 5 as so staid (growing up) and I definitely didn’t like aldehydes, though I also didn’t identify them as such, but now I love the sophistication and quality of so many Chanel fragrances. I used to prefer Guerlain and Caron: they seemed to have more warmth and spice without what then felt like an aldehydic floral assault, but the houses have not evolved in the way Chanel has managed to. I still prefer the Chanel Exclusifs (Bois des Iles, Cuir de Russie, and Coco, though I wear Coco infrequently these days). I was thrilled when Eau Premiere came out, a No.5 I could truly enjoy wearing. I’m wondering what changes you notice, since I have the earliest version. I am now very keen to try L’Eau, and am considering trying No. 19 Poudre, since I’ve come to appreciate 19, (especially in warm summer weather), coaxed to try it again by your reviews. Your review is beautiful and informative, as always. Thank you! Victoria: I can’t agree more. Your tastes change with new experiences and exposure to different things. It’s similar to food, literature, films, music. I have come to like No 5 more over time, especially as I tried more aldehydic florals, but it will never be my top favorite. I’m happy to have a bottle on my desk for reference, however. Its quality and nuances are impressive. Victoria: I’m guessing that No 5 L’Eau won’t last on you, because No 19 (the current one) lasts for the whole day, and I even mix it into my lotion to tone it down. Maybe, the issue is with the musk Chanel uses. We all differ in our sensitivity to this group of perfume ingredients. Joy: Thank you for this timely review, Victoria. I had just seen Chanel L’eau advertised and wondered about it. Although all of the top notes sound great, the musk does not. For some reason musk in fragrance makes me queasy. I would still like to try a sample just to satisfy my curiosity. Victoria: Yes, if you don’t like musk, this one isn’t for you. Joy: It is quite expensive at $280/bottle. That cost almost becomes an ethical concern for me. Since I support many causes, I feel those dollars would go a long way to provide care for some people or animals. spe: A few months back, I ordered 31 and 1932 off the website. I received the 1932, but they cancelled the 31 order. One of the department stores had a single bottle left of the 31 EDT. Joy: I will continue to observe. When they still had the edt, there was a smaller bottle available for less than $140. I should have not dilly dallied on purchasing that, as I really like the edt. Tested l’Eau and as I feared, it has the same “bugspray” musk Chanel bottom-loaded into Chance Eau Tendre & Allure Homme Sport. My DH bought the Homme Sport for the citric top, but the musk is so godawful he can’t wear it at all. If you know the chemical I mean, it literally smells like toilet cleaner or Ajax. Why do perfumers even use this stuff? There are lots of musks that don’t smell sharp and grating – surely a professional “nose” is aware of the chemical horror? Do they think the scratchiness offers undiscerning consumers an OK substitute for the missing texture oakmoss used to give? L’Eau is priced towards the middle market and available in malls, unlike Chanel’s supposedly better quality fragrances. Maybe L’Eau’s ingredients were chosen accordingly? I’m guessing a few Euros per kilo in production cost savings translates to millions when dumped on consumers they hope will snap this up for the top notes and the No. 5 appellation. And the top is very, very lovely. Were it not for the horrid base, I’d have considered handing Chanel more of my cash. Does Chanel not read fragrantica & basenotes? Those are mostly “middle market” readers, guys. And there are lots of them reading reviews before buying. Consumers are not so easy to fool anymore. FYI, it’s currently 4 a.m. and Fragrantica already has almost 2,000 people online. I’d have no problem with them bottom loading “laundry” musk into these middle market products – although it also smells cheap, its at least not actively unpleasant. But I’m not going to pay for a fragrance product that contains a substance I just don’t want to smell all day. ps to Joy – respectfully suggest you test Rue Cambon before shelling out the bucks. Despite its “Exclusives” marketing, it struck me as very synthetic. It’s missing the characteristic chypre density and heft and deteriorates down to good old Ambroxan, like a normal mall scent. I’d guess there’s a healthy dose of Iso E in there as well, which for me always interferes with smelling the rest of it. Victoria: I don’t notice so much sandalwood, but there is vanilla, vetiver, musk, which is similar to No 5. Alessandra: This fragrance surprised me, as well! I tried it on two days ago and compleetely fell in love with it, for all the reasons you articulate so well, Victoria. Its sparkling, champagne-like sophistication is different and more easy-going than that of no. 5 but it is still quintessentially Chanel. Also, I agree, it truly lasts! Kay: I have sampled this a couple of times and it vanishes on me within half an hour. The comments above have just struck me – maybe I’m anosmic to the musk in it, as after the top notes there’s just…nothing. Like, I genuinely can’t smell it. Sadface. Janey: The SA in my local House of Fraser (UK) said on Saturday that Eau Premiere is to be discontinued. I had a quick look on line and it’s also out of stock in John Lewis, Boots and Debenhams…….. mmnn, I wonder if this is true? The Boots website states that it is sold out and that there wont be any further stock! I really like L’eau but I also love No 5 eau de parfum. I was considering purchasing Eau Premiere but don’t want to get hooked on it if I can’t get hold of any more. Maybe I’ll try No 5 eau de toilette. Jacquie: Is the hair mist similar to No.5 edt and is it as long lasting? I am eager to get one.